A rounded protuberance occurring on a body part. 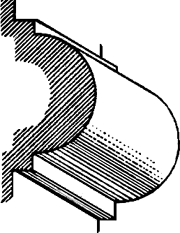 The thickened membrane closing a bordered pit. The surface of a doughnut-shaped object. The topological space obtained by identifying the opposite sides of a rectangle. The group which is the product of two circles. the distance from the center of the circle to the axis of rotation is a, then the area of the surface of the torus is 4π2ar and the volume of the torus is 2π2ar2. 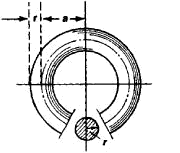 The term “torus” is also applied to the surface bounding such a solid. This study recorded the frequency of torus palatinus together with its morphological characteristics. 28-31 The same reasons may stand true for variety of results in this aspect of torus palatinus. Morphology and incidence o torus palatinus and mandibularis in Brazillian Indians. Is torus palatinus a feature of a well-developed maxilla. An analysis of Torus Palatinus in a Transatlantic Study.